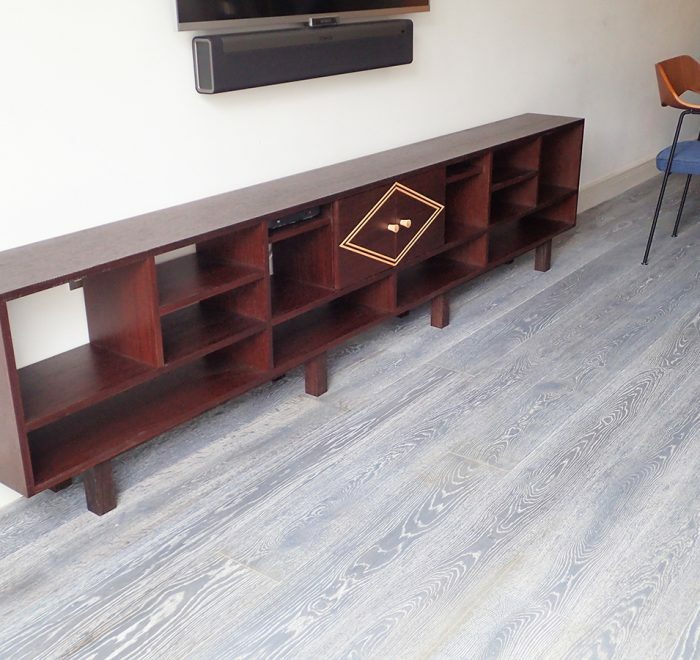 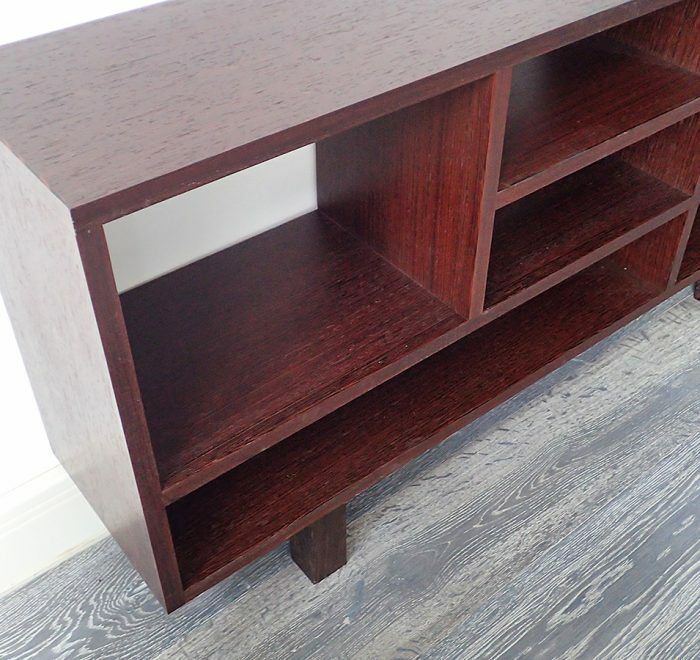 This long, low-standing cabinet was made to sit neatly beneath the TV in an open-plan living/dining area in West London. 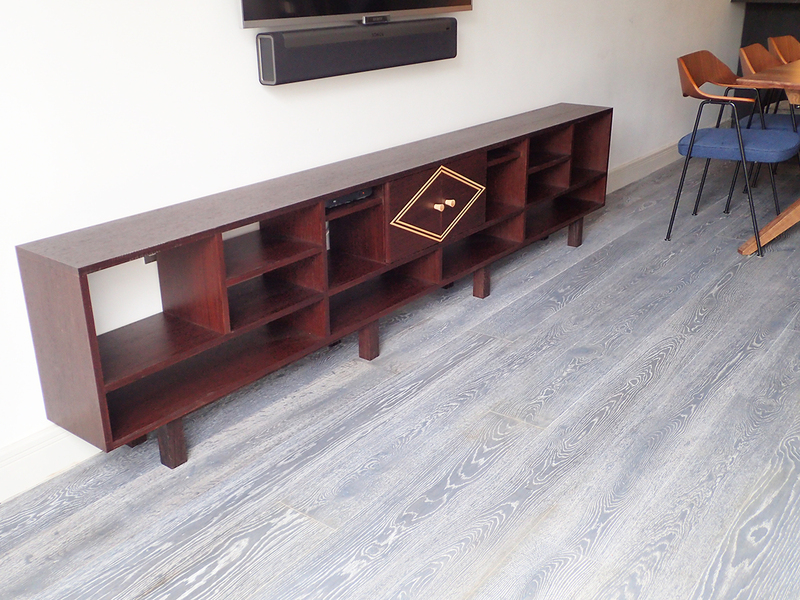 Wenge timber was chosen for it’s deep, luxurious, chocolatey colour and so that it differed from the other woods and textures in the room. 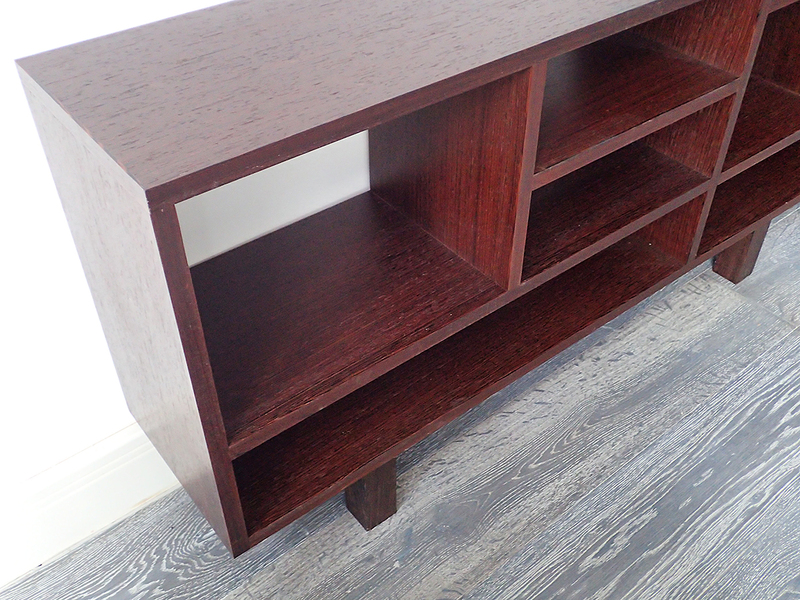 At just over 2.5m long it is also very slender and does not project more than necessary into the room. 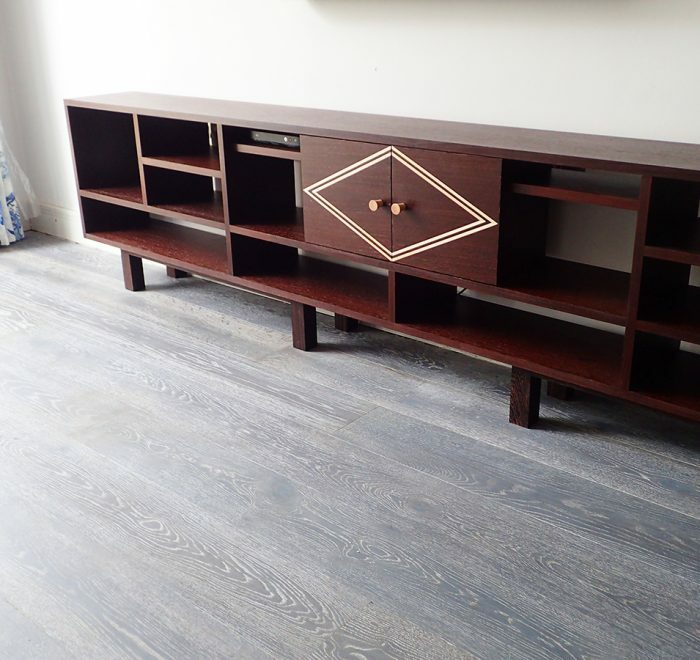 An open-backed design allows for it to remain light in appearance and means the dark brown of the wenge does not dominate the area as the white wall still shows through. 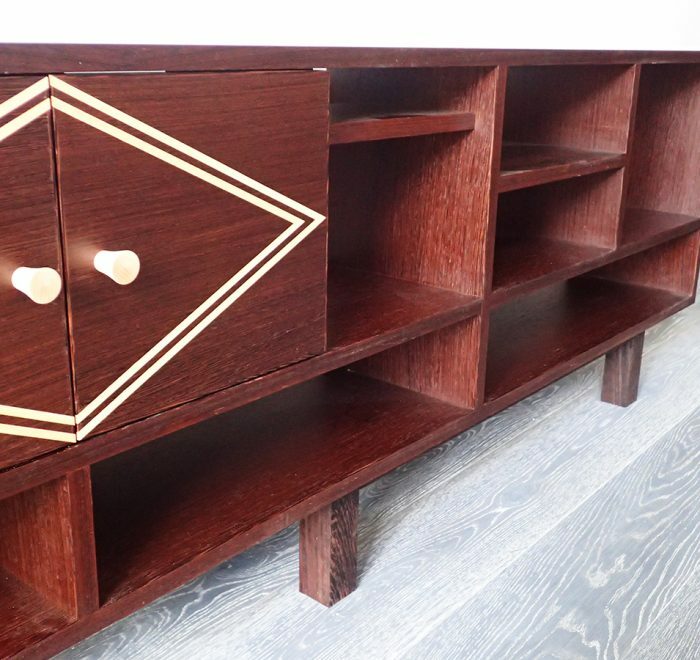 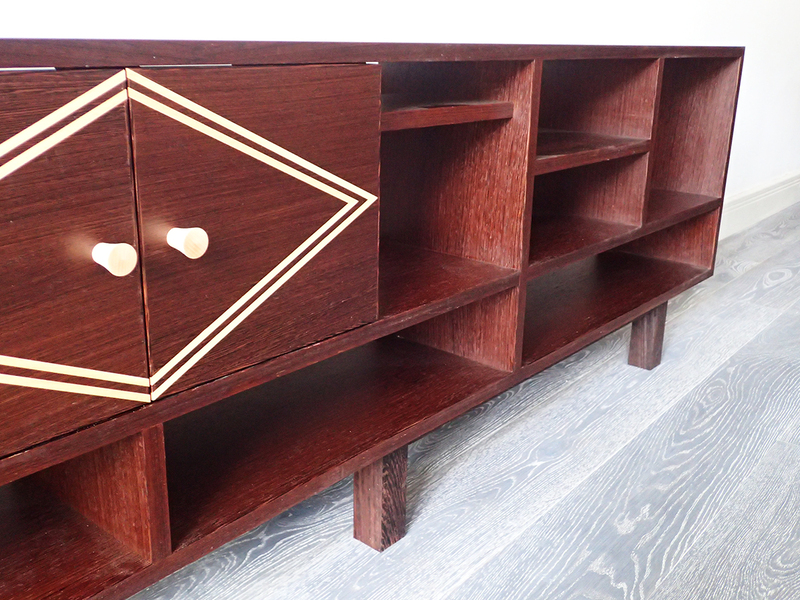 The credenza mainly houses books and silverware, with custom-sized openings for multimedia receivers. 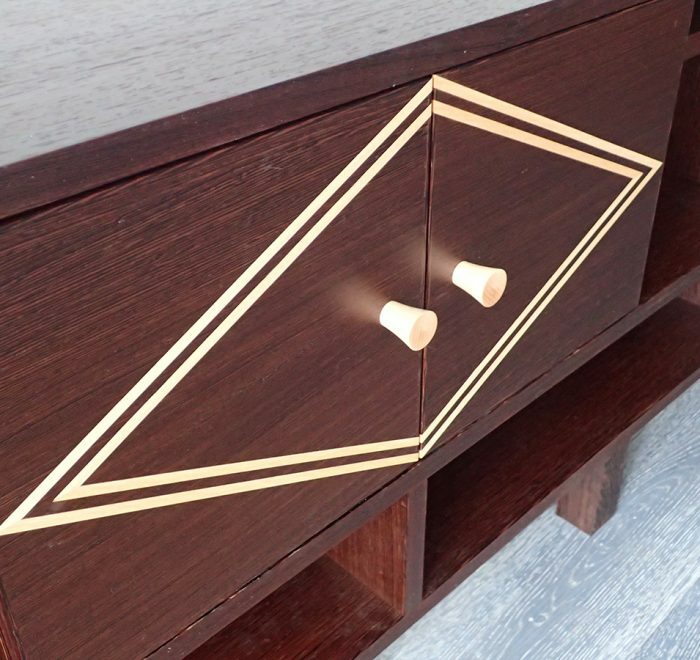 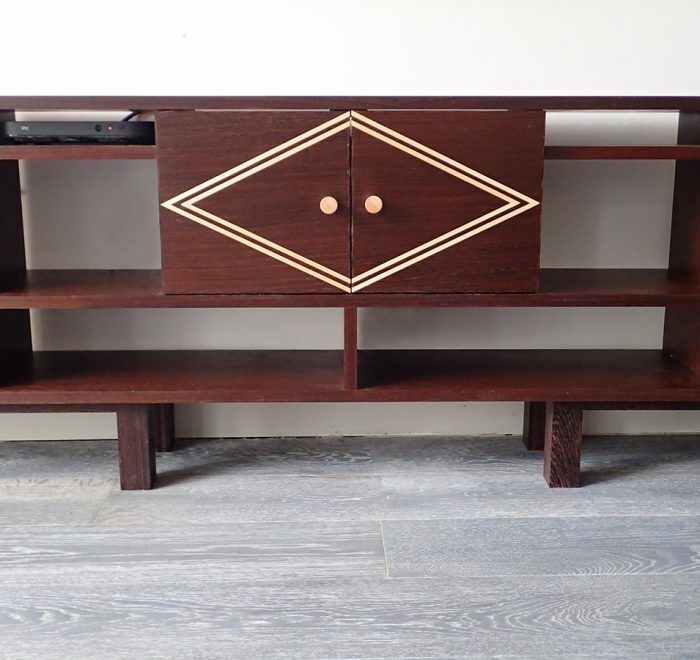 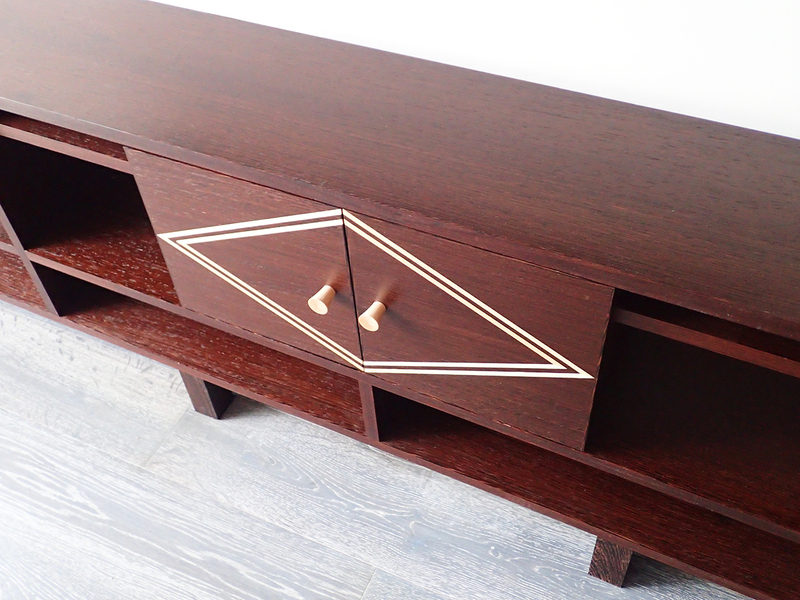 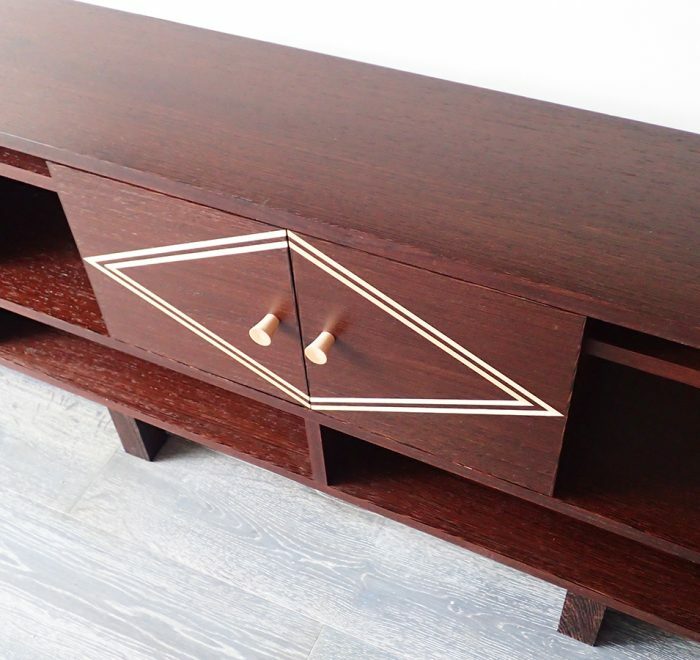 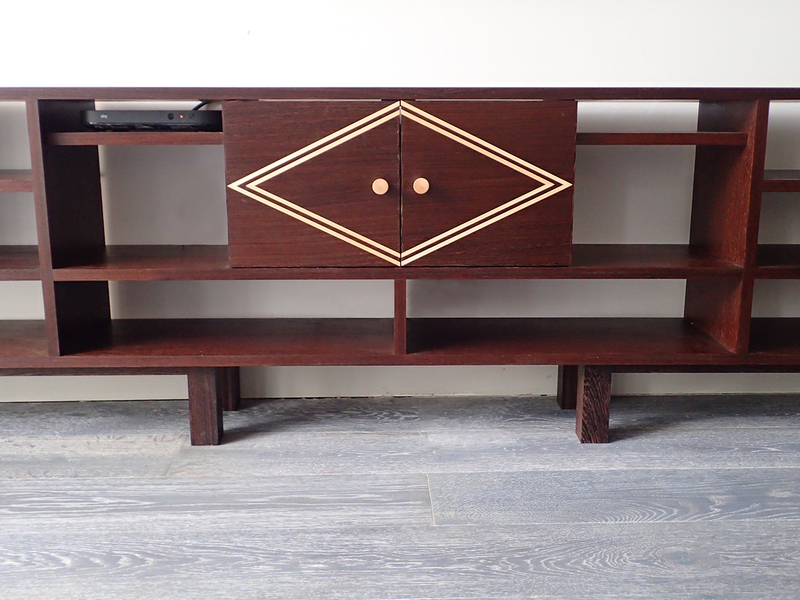 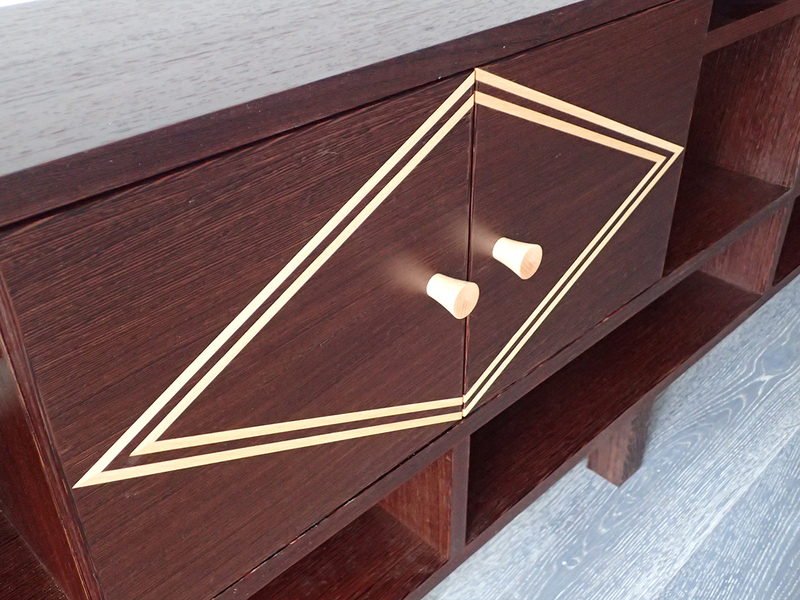 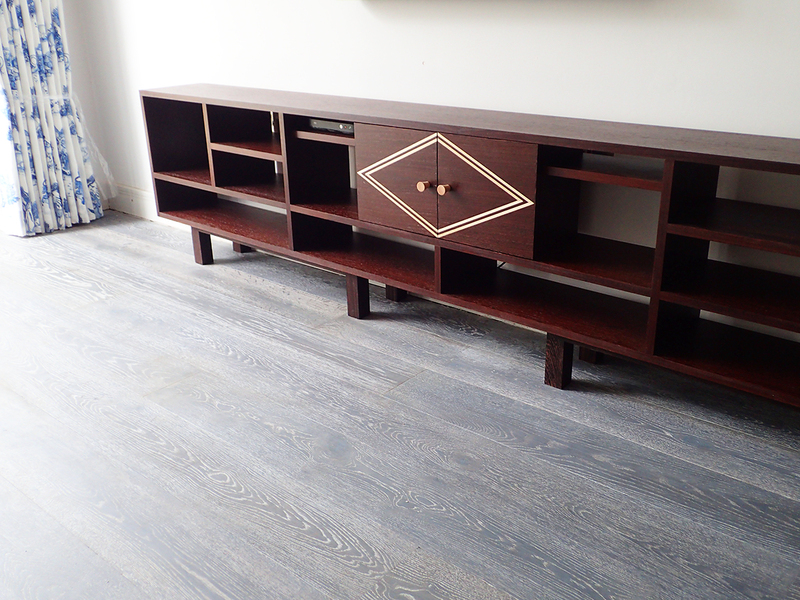 Made from wenge, with maple decorative inlay on the doors.